Dubai, United Arab Emirates – February 23, 2019 – Don't miss your chance to be among the first in the UAE to own the latest Samsung Galaxy S10+, Galaxy S10 and Galaxy S10e. The devices are now available for pre-order from February 21 to March 2, 2019 across all major retailers as well as online on www.Samsung.com. Customers who pre-order Galaxy S10 devices will be among the first to enjoy its new cinematic display and its multi pro-grade cameras among other distinctive features. 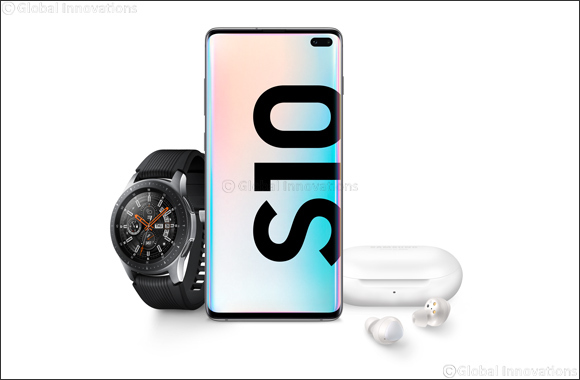 In a drastic design and technology update which pushes the entire lineup further into the future, Galaxy S10 series boasts extraordinary features, including a super secure on-screen fingerprint scan, multi pro-grade cameras, a cinematic infinity display, wireless powershare and computer-size amounts of storage capacity. Galaxy S10+ has a cutting-edge dual in-display selfie camera module. It also features a super secure on-screen fingerprint scan, 5 pro-grade cameras, a large 6.4in display, 4,100mAh battery and come with three different storage options. 128GB with 8GB of RAM, 512GB with 8GB of RAM and a huge (and ultra-fast) 1TB model with a gigantic 12GB of RAM. Galaxy S10 also features a super secure on-screen fingerprint scan, among other things: it has a 6.1inch infinity display, three rear-facing cameras, an in-display selfie camera, 3,400mAh battery and will be available with 128GB storage and 8GB of RAM.